11x14 sheet protector. Top loading on 14" side. Universal punching on the 11" side. 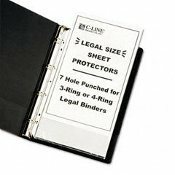 Fits US 3 ring binders. Archival quality poly. Letter size 11 x 8.5 diskette holders for 3.5 inch floppy disk. Legacy ACARS diskette holder. Top loading half page protectors. Tabloid 11x17 engineering heavy weight sheet protectors. Archival poly. 24x36 blueprint holder. Top Opening on the 36 inch side. Archival polypro Super Duty 24x36 art envelopes. Bulk of 250 small sheet protectors, 8.5x5.5 top loading with 3 holes. Archival grade poly, long term protective storage. Uses include albums, family recipe binders. 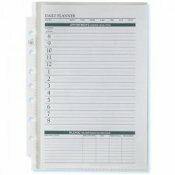 Bulk sheet protectors. 11x8.5 top loading letter size. 8.5x5.5 Poly Sheet Protectors. Half page protectors, top loading, 3 holes on 8.5 inch side. 25 per package. Item CLI62058. 8.5 x 5.5 half page size sheet protectors, Poly, 3 holes 8.5 inch side. Light Weight Sheet Protectors Poly. Letter Size, 11 x 8.5, 200 per PKG, no ink lift, top loading 8.5 inch side, universal holes punched 11 inch side. Item CLI62037. Standard weight sheet protector, 50 per PKG. 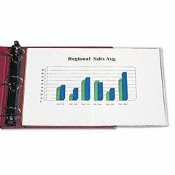 7 Hole punched size poly page protectors. 11x8.5 heavy weight sheet protectors, top loading 8.5 inch side, universal hole punched 11 inch side. 50 per package. Superb.